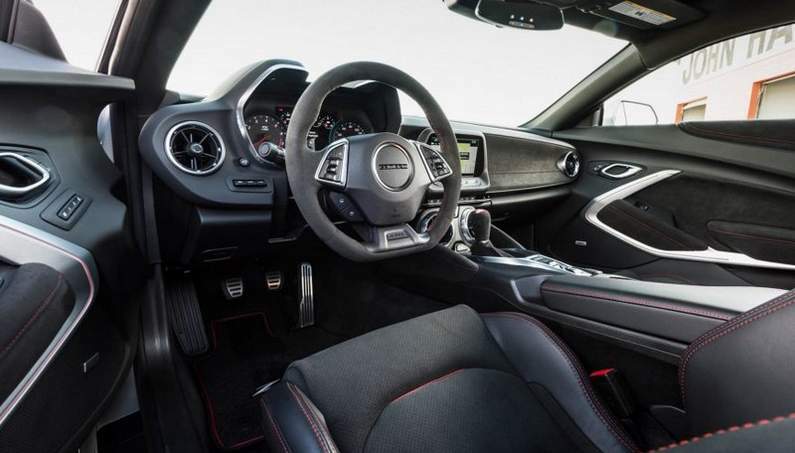 Imagine a Dodge Hellcat that can corner, a Shelby GT350 with an additional 124 hp, and an M4 with great steering. 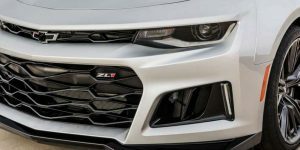 The Camaro ZL1 is all of the above mentioned. 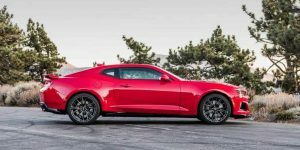 With a price of only few thousand dollars less than the 707-horsepower Dodge Charger Hellcat, the Camaro ZL1 is the cheapest new car that has a top speed of more than 200 mph. 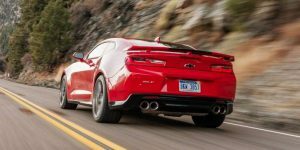 The 2017 ZL1 Coupe is built from some of the most awesome drivetrain hardware ever. 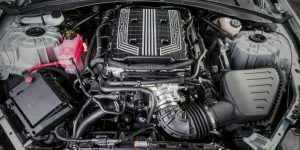 Its magnetorheological shock absorber read the road one thousand times per second. 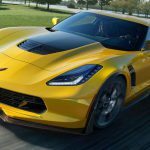 A variant of the Corvette Z06’s supercharged 6.2-liter LT4 V-8 delivers the incredible thrust. 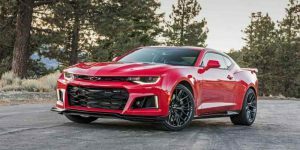 The Camaro ZL1 has 650 horsepower, all for $63,435. 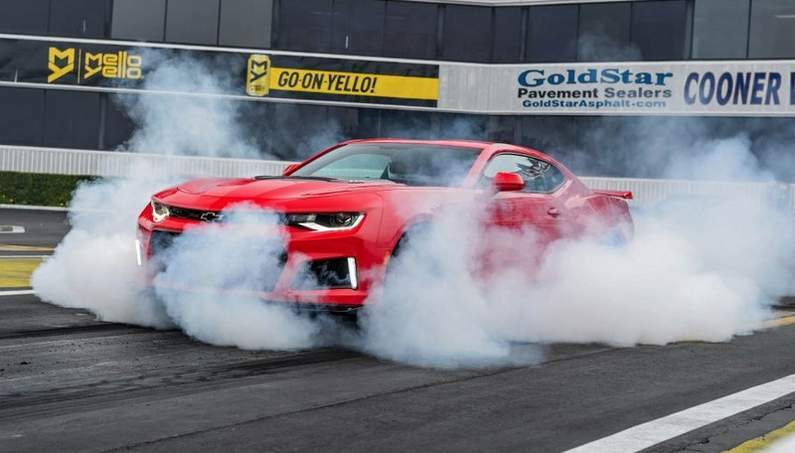 It will hit 60 in 3.5 seconds and scream its way through the quarter in 11.4 seconds with a 127 mph trap speed. The chassis is capable of handling the hairiest corners, and the brakes could stop a runaway Federal budget. 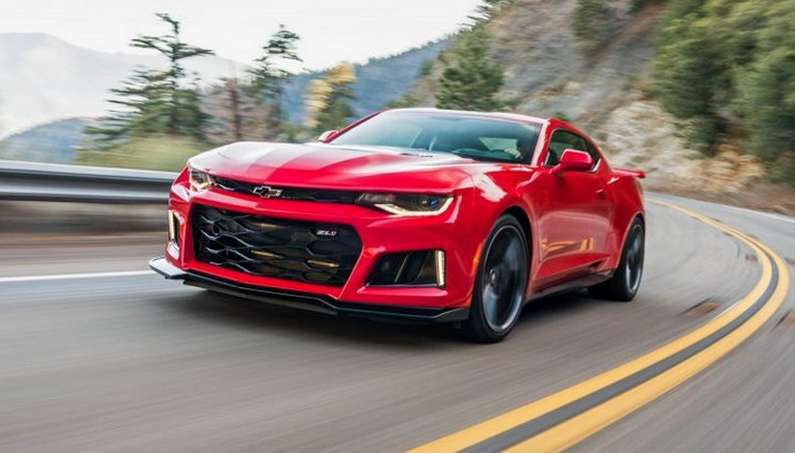 The ZL1 offers a new 10-speed automatic transmission that shifts in just 300 milliseconds, making the absolute most of that 650 lb-ft of torque. 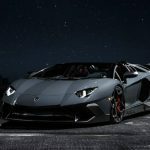 The upgraded launch control has received some huge upgrades The changes include GM-exclusive control algorithms, a different torque converter, uprated components in the clutches, the planetary carriers, and the output gearset. The real magic lies in the tuning. 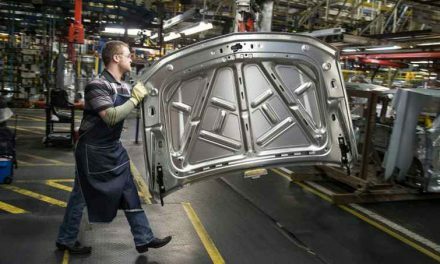 ZF’s automatic—used by BMW, Jaguar Land Rover, Fiat Chrysler, and the Volkswagen Group finally has a worthy rival. 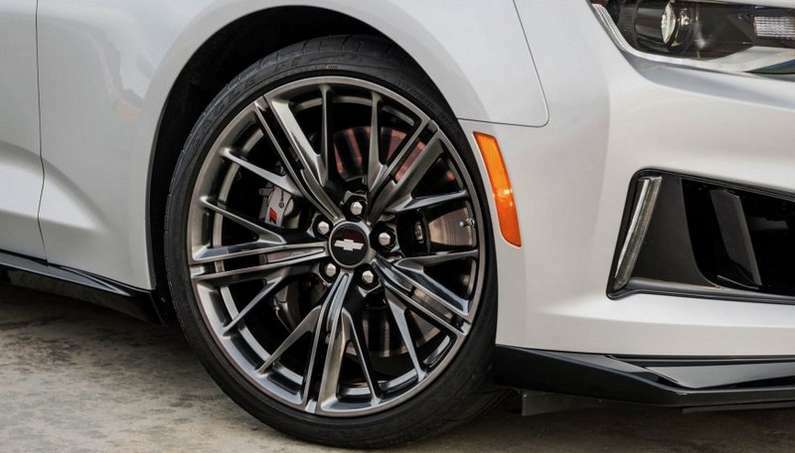 it shifts with minimal noise at any speed you want. When you demand thrust, the gearbox executes a quick but smooth downshift without any intermediate steps. 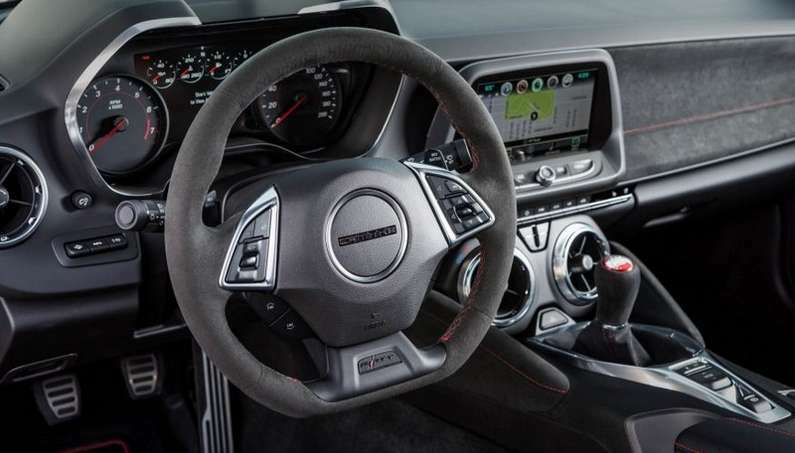 Switching between the driving modes brings minor changes to the transmission calibration. 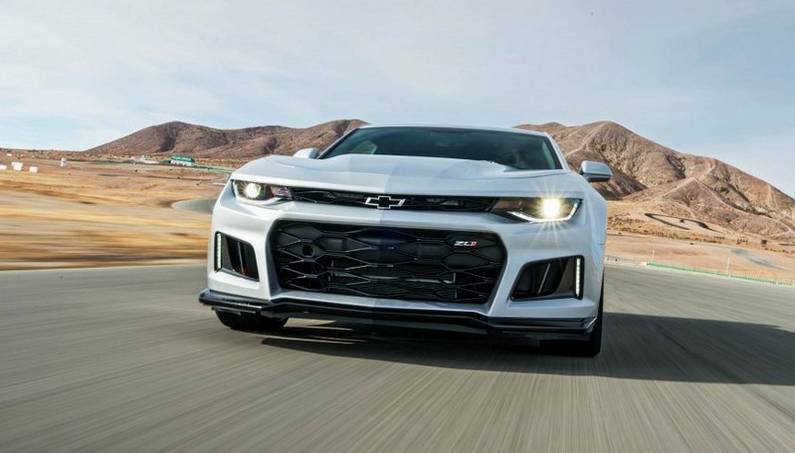 The engine cuts fuel on upshifts for faster gear swaps, but when you begin driving in either Sport or Track mode, one of three performance algorithms for the transmission triggers automatically. 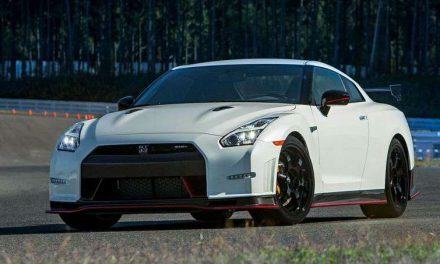 The initial level matches revs on downshifts while the most aggressive one holds the lowest gear possible. 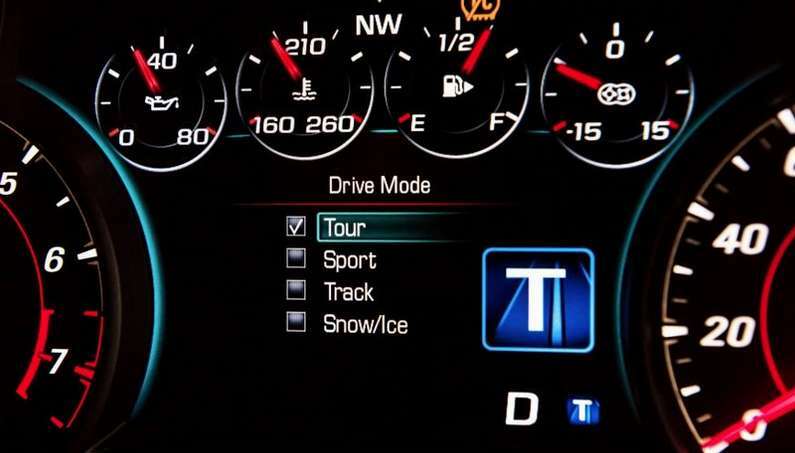 The controller monitors adjust and brake inputs and lateral g’s to activate performance shifting. 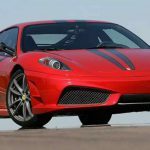 The only way to know which performance algorithm is active is to watch carefully where in the 7500-rpm tachometer the needle is. 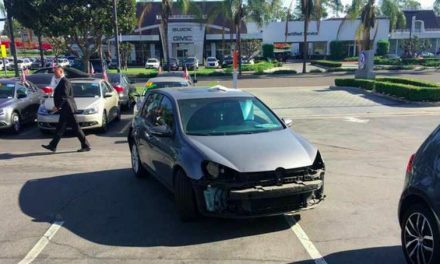 It’s an odd way to control the transmission logic, but it works. 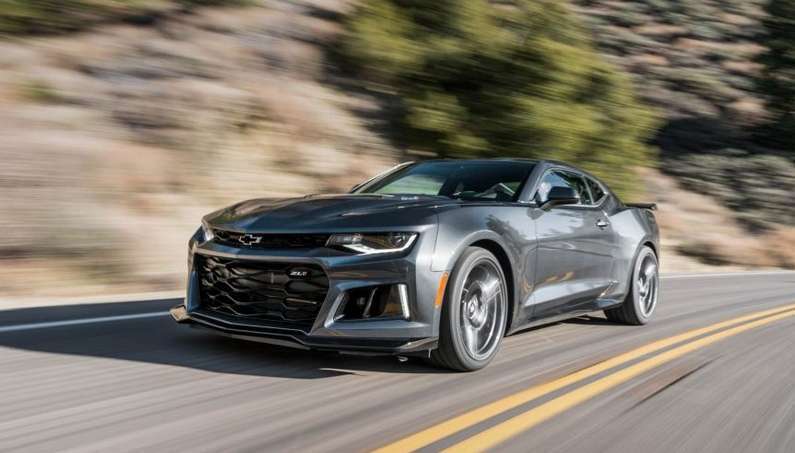 If you want to choose your own gears, then stick with the standard six-speed manual. 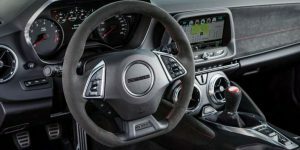 The substantial clutch pedal offers great feedback, Its shifter is topped by a well-weighted shift knob. 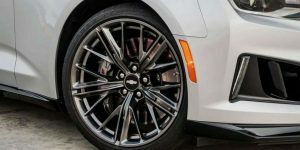 In addition, the manual’ gearing allows the car to reach 61 mph in first gear. It’s amazing, don’t you think? 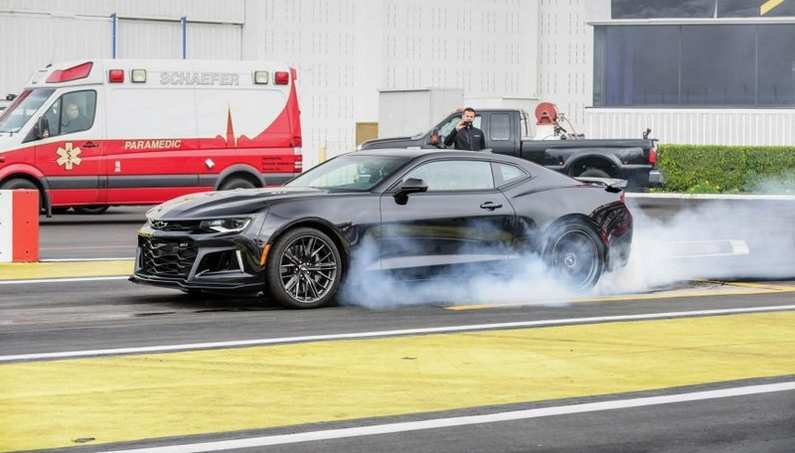 It’s a demon at the strip but it doesn’t disappoint on the track. 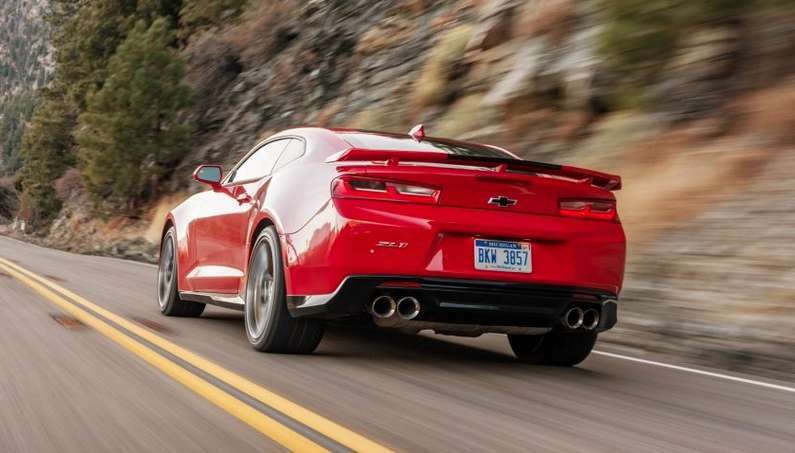 The ZL1 is a legitimately pleasurable road car. 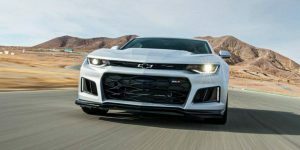 In Tour mode, Chevy’s MyLink system offers a good experience, plus compatibility for both Apple CarPlay and Android Auto users. 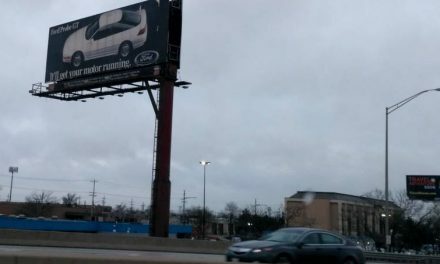 On the highway, it’ll do 20 mpg and won’t even annoy you with a humming engine note thanks to a baffled exhaust. 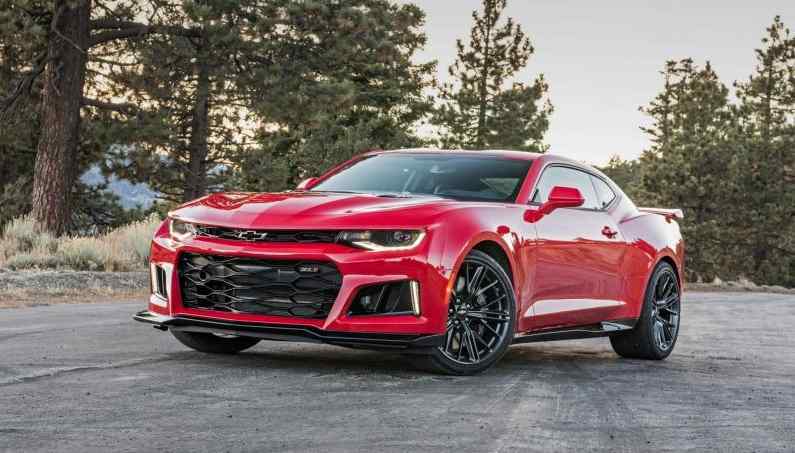 The ZL1 isn’t loud at all. 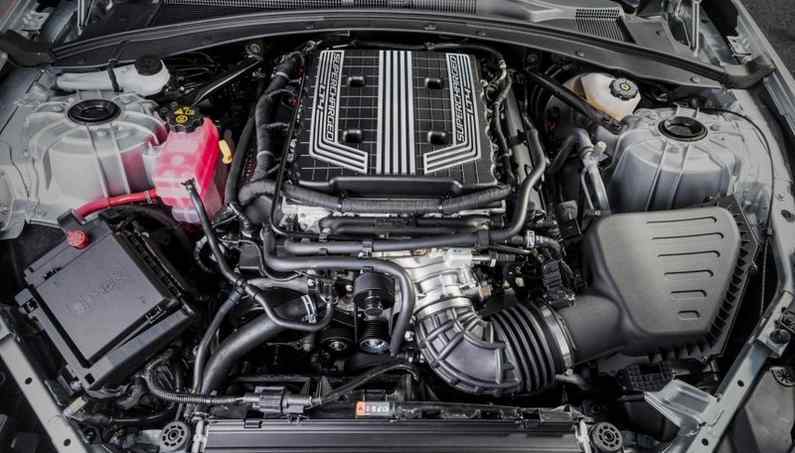 Most people love the superior sound of the V8, to remind you that you’re making boost. 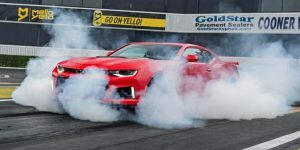 However, the aftermarket crowd will surely be providing a number of solutions for those wanting louder. 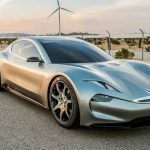 What about its competitors? 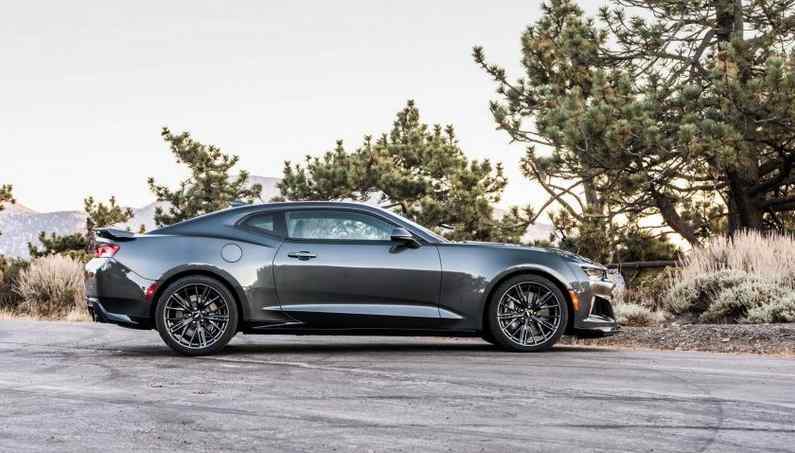 Theoretically, you can pit this car up against the Hellcat, but the Dodge maybe put down bigger numbers on the dyno sheet, the Camaro is a far better sports car. 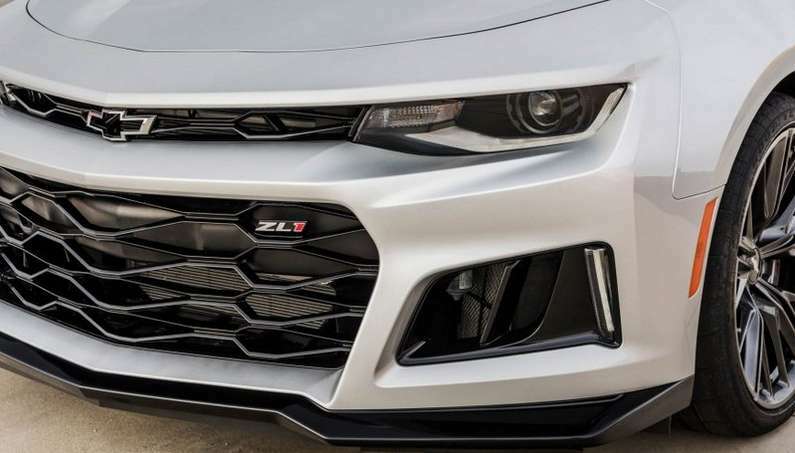 ZL1’s real competition lies in the Shelby Mustang GT350R. 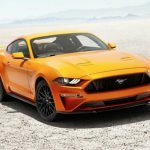 These cars are surprisingly different in a way that Shelby’s flat-plane crank demands hard revving, while the ZL1 just has lots of torque wherever and whenever. 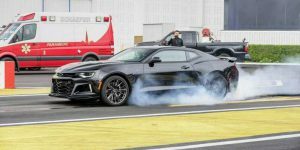 We would dare to say the ZL1 would be the quicker car around most tracks, because of its additional power, but it seems the Shelby is a bit more responsive and more engaging. 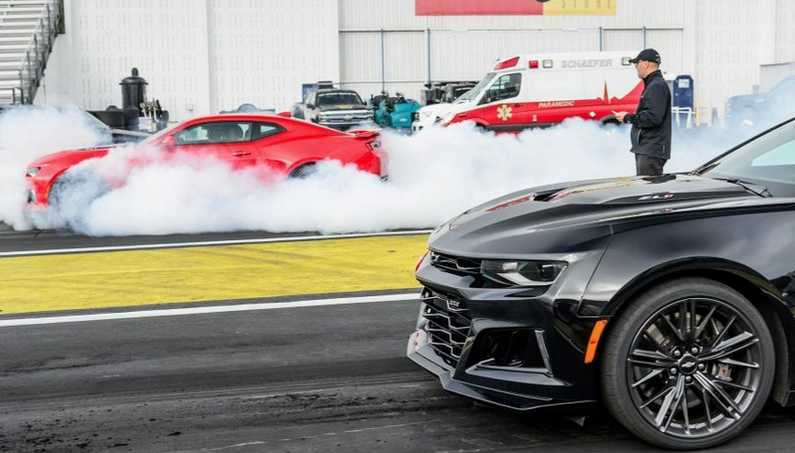 The ZL1 is among the most powerful streetcars at the strip, track and, perhaps most impressive of all, it’s still a perfectly functional street car. How much it costs? 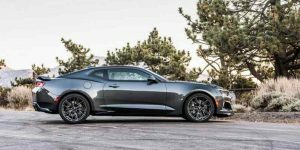 You’ll spend $63,435 for a 2017 Camaro ZL1 manual, another $1,595 for the automatic. The 10-speed here is probably the smarter choice. 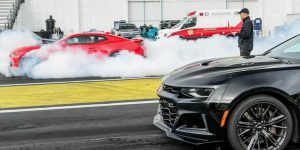 Check out the 2017 Camaro ZL1 burnout!